The Yacht Remote Monitoring System is specifically designed for Sailboats, Catamarans, Trawlers, and Pleasure boats or yachts (of all sizes). Capable of monitoring more systems on your vessel than any monitoring system. Easy installation with step by step instructions! Uses WiFi to connect to the Internet! Instant alerts for low battery voltage, high water, dockside power, and more! Provides online dashboard for monitoring your boat anywhere/anytime! Best value monitoring system on the market! 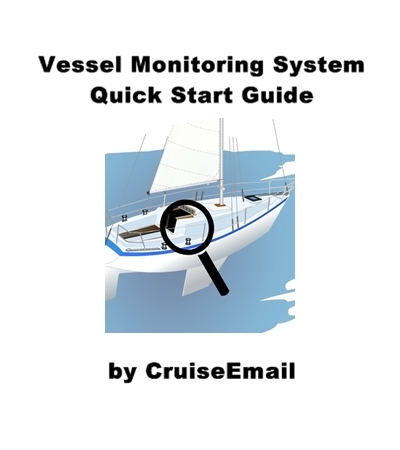 Background on Yacht Remote Monitoring System (YRMS) developed by CruiseEmail. CruiseEmail is now adding a new product to its well known SSB email systems. This new Yacht Remote Monitoring System (YRMS) offers a low cost, high technology, and very simple installation that any owner could install himself/herself. There are two basic models available, for mono-hulls/power boats and catamarans. YRMS connects to the Internet either directly from the YRMS module to a marina WiFi, or through your own WiFi access point. This small high power YRMS computer will monitor and instantly inform you of your battery voltages (one or more banks), disruption in AC dockside power, bilge pump activity, high water alarms, smoke detection, temperature, humidity, and many more critical boat systems. The YRMS Mini computer is also a wireless router. This router is programmed to connect to the Marine WiFi network and is then routed automatically to the CruiseEmail Cloud network. All of the addresses are programmed by the client (owner) with multiple email's, at the Cloud. Those email address will send the alerts to whomever you want to be notified should alarms be triggered. 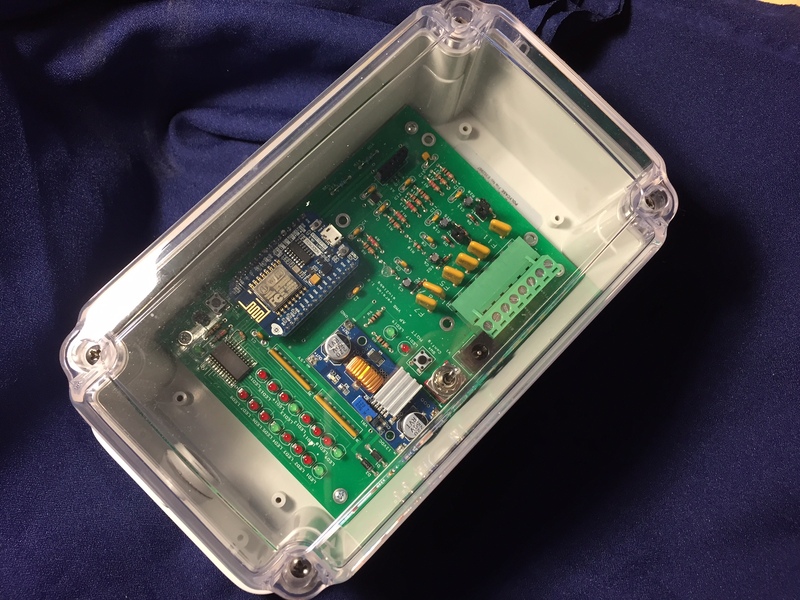 The YRMS mini computer can also perform as a server, and send data wirelessly to your nearby mobile devices without the need for a connection to a WiFi access point. The feature, allows you to monitor your boat while in the comfort of your state room, bridge deck, etc. 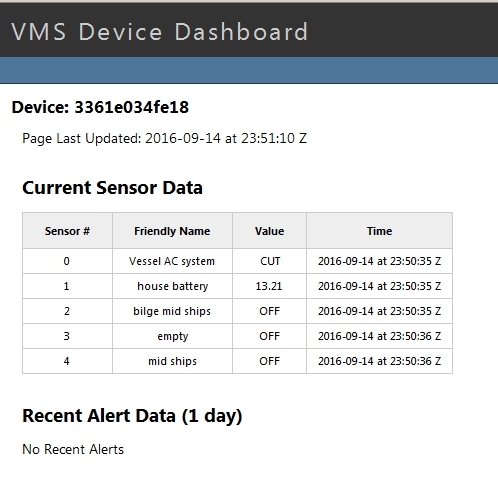 You can view the bilge activity, temperature, humidity, voltage of your batteries, wind generator, dockside power, solar panels, and anything else you have connected to the YRMS. Note: You can connect the YRMS wirelessly to either your boats wireless access point or the marina access point. You can also monitor your boats equipment on your smartphone while On-Board with no WiFi connection. What is the YRMS Dashboard? Click image below to enlarge The YRMS dashboard is an online display of all of the sensors you connected to your YRMS. We provide a link to your dashboard which displays the current conditions on your boat. You can can view the battery voltages for each battery bank, whether your dockside power is connected, how often your bilges are running, the temperature and humidity on your boat, etc. 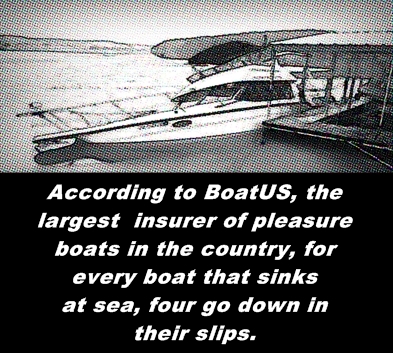 At a glance, you can have piece of mind that your boat is safe and secure from a low power situation, or water intrusion. To setup and install the YRMS each sensor is connected with a #20 marine gauge wire that will connect to each device to be monitored. There are 8 or 16 analog inputs, depending on the model, and 8 on/off sensors contacts. 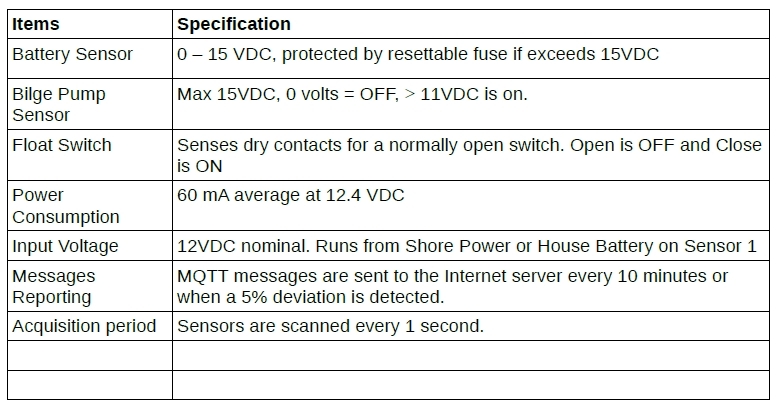 The analog contacts will sense any sensor that has a 12 volt DC source That sensor gets connected to the YRMS module. There are 2 models, for catamarans (16 analog inputs) and for mono hulls/power boats (8 analog inputs). 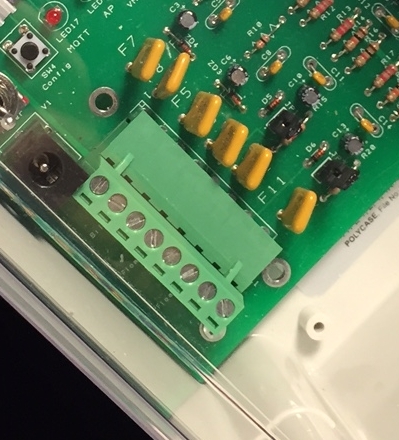 As soon as 12 volts gets applied, a LED that is assigned to that device will light up informing you that you have made a good connection and that device is now being monitored. When connected to each device, the YRMS module with the associated LED's located on the mini computer will confirm that connection. Loop connections, which are marked separately will sense float switches that will indicate high water level sensors, and once the water reaches your designated height, the alarm will also send a signal to the YRMS computer and which will forwarded that alert to the CruiseEmail Cloud and onto your email device, iPhone, and anyone you placed on the contact list to be alerted as to emergency conditions on your vessel. The YRMS computer is powered by the on-board batteries and/or the dockside power. For example, if you lose the battery connection, YRMS will use dockside power. If you lose dockside power, the YRMS will utilize the boat batteries to stay in touch with the cloud. Whenever your dockside or battery power is disconnected, the YRMS will detect this power loss and alert you (and anyone else you may choose such as the marina officials) immediatly. The YRMS is connected wirelessly to the marina Internet WiFi or connected to your wireless router on-board your vessels, which then connects to the marina office (or any Wifi source). The router is then communicating via the local marina onto the YRMS CruiseEmail Cloud. Example: If you monitor your bulge pump and you view its status on your computer, iTablet, or iPhone you may notice that the bulge pump comes on only 1-2 times per day, but if the bulge pump comes on more often it will automatically send that alarm. Other devices as example, solar/wind power, can be monitored as to when you're generating power to your batteries, not only viewing the output of the devices, but also the voltages levels of all the batteries that you have wired to be monitored. Adding a wall-plugin power converter that outputs of 12 volts DC allows you to monitor the dockside AC connection to your boat. It is advisable that when you register into a marina that you have a WiFi connection to their office and also make sure that there system is on 24/7 continually. CruiseEmail is currently qualifying marina's that will offer, YRMS, WiFi internet connection to their docking services. Also, it is possible that many vessels will anchor in areas near the marina and use the marina WIFI services for free or a small cost. Of course, you can also benefit from the use of your own cellular hotspot (as a Wifi) if you want to monitor your boat at more remote anchorages. Ask your Marina about their WiFi availability. The YRMS computer is also a WiFi router. This unit if placed near a port window (the less obstructions the better), has the ability to transmit/receive 300 yards,( 3 football fields LOS "Line of sight" ) to connect to the marine office, or closest WiFi Internet source. Connect YRMS to your boat. The YRMS computer is easily connected to the bilge, batteries, AC power, or any of the other sensors you want to monitor. The photo on the left shows the ease of connecting your YRMS to your boat. Simply connect the YRMS using 20 gauge wire to the screw in terminals and you are ready to start monitoring! Need more info on YRMS? Complete and click "Send!" This diagram only shows a few of the different pieces of equipment you can monitor with the YRMS.